The Financial Winter Is Nearing — Time For GoldSafe. Nature functions in cycles, each 24-hour period can be divided into smaller cycles of morning, afternoon, evening and night. The whole year can be divided into seasonal cycles. Similarly, one’s life can also be divided into cycles. Cycles are abundant in nature, we just have to spot them, understand them and be prepared for them because they happen whether we like it or not. 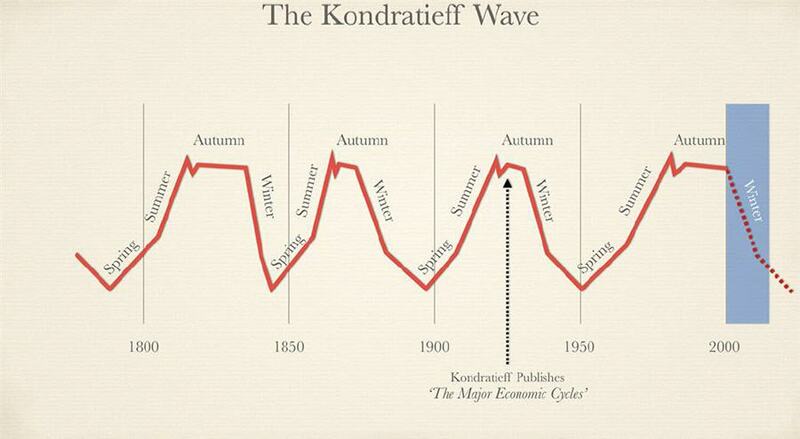 Likewise, economic experts have noticed that the world also follows different cycles. 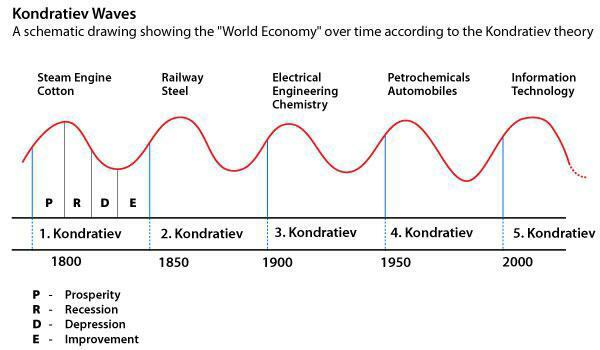 An important pioneer in this field was the Russian social economist, Nikolai Kondratiev, also called Nikolai Kondratieff, a relatively unknown genius. Cycles are generally repetitive forces, which give us an insight into the future so as we can be prepared to face it and prosper. Without excessive intervention, nature is very forgiving, while correcting the “excesses”, but if one meddles with nature, it can be merciless, during the correction. 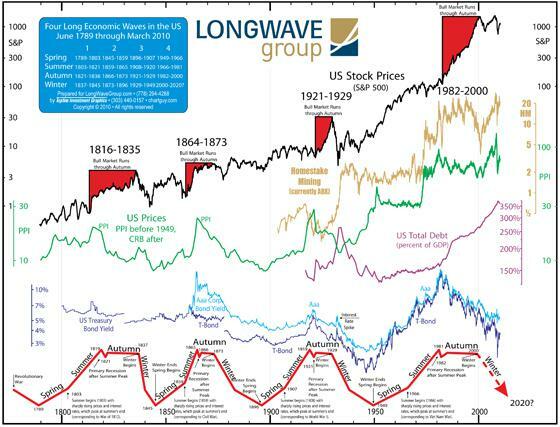 The current economic condition will end with yet another reset in the financial markets. 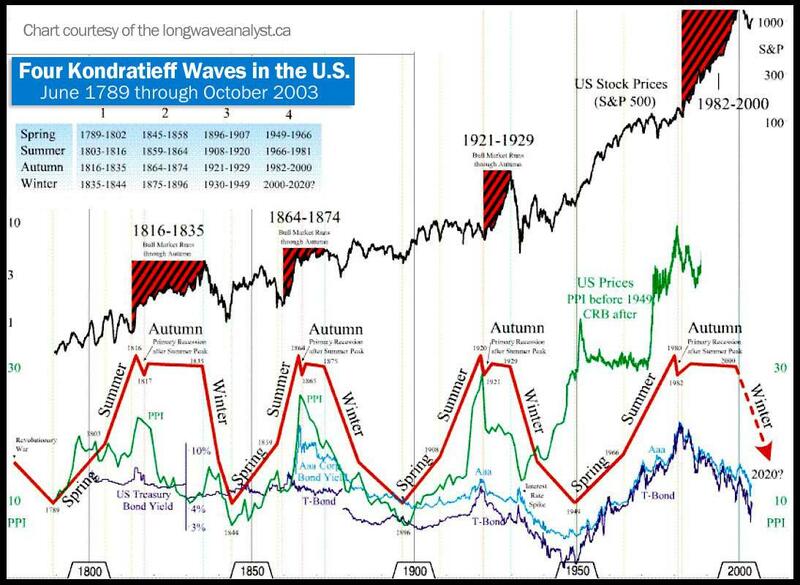 Prices will not rise for ever and a correction take hold eventually. Until then we follow and trade accordingly. I will suggest the necessary steps to avoid losses and prosper from market turmoil when it unfolds.